Trait conceptualizations of repetitive thought assume that both the degree and the quality of thoughts are stable over time. In order to test this assumption, the generalizability of thought valence (positive vs. negative), purpose (searching vs. solving), and thought duration were tested using repetitive thought descriptions generated across time in a sample of first-year law students (N = 73) and a sample of dementia caregivers and matched controls (N = 57). Based on objective ratings of these descriptions, there was mixed evidence for stable individual differences with regard to valence, purpose, and duration, depending on the sample and the topic of the thoughts. Variance estimates ranged from 25 to 70% for valence, 7–24% for purpose, and 0–8% for thought duration. 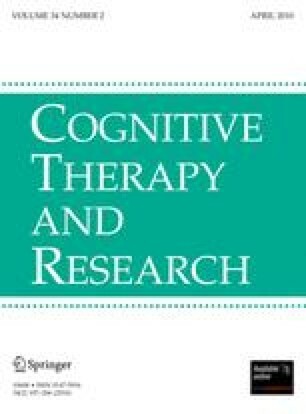 The results indicate that repetitive thought qualities change over time and that RT patterns may be more stable in older and less stressed samples.